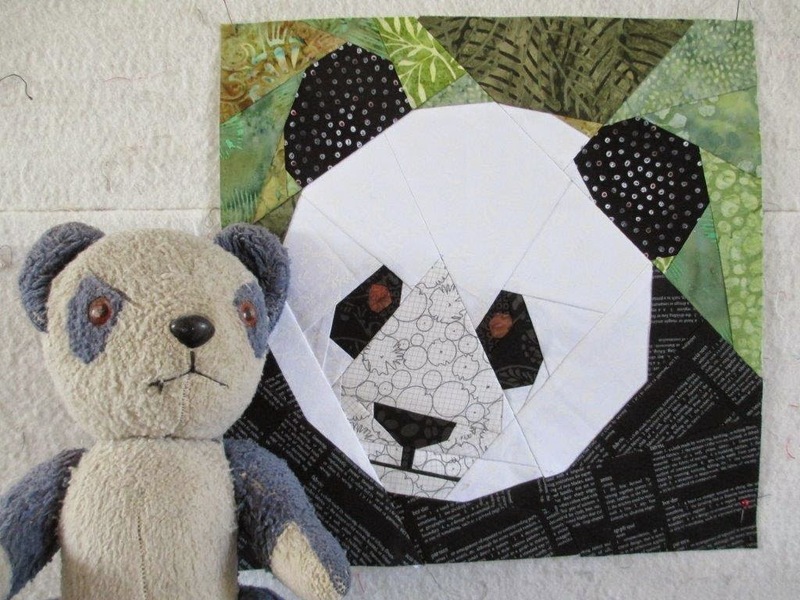 I am really excited to share my paper pieced panda pattern with you all. It really is one of my favourite patterns that I've designed so far. There is something about the Panda's friendly face that just makes me want to give him a huge big hug. I was really pleased to have Chrissie as a pattern tester again, she always does a great job for me. I will admit that she initially challenged me with her fabric choices when I heard that she was using batik, but somehow it just works perfectly- I love it! Chrissie has been helping me to refine my solution to the printing issues that I was having with international paper sizes. I THINK that I have now nailed the solution once and for all. When I get the chance I will go over my existing patterns and ensure that they work too. When I asked for pattern testers, I received a very polite request from the Panda loving Suz. She did a great job on the pattern and now has a new friend for her toy panda who has been her friend ever since her first birthday. I love the way that Suz gave extra definition to the ears using a stamp pad. 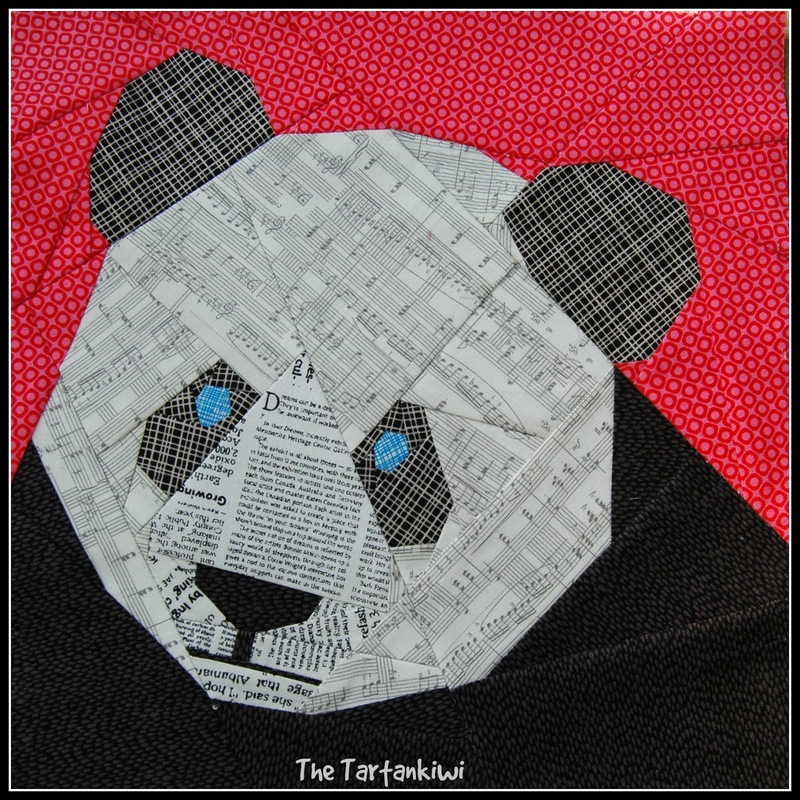 The panda pattern is now available from my Craftsy Store. As usual it will be free for a limited time and then I will add a small charge. As a final note, you may notice that the address for my blog has changed. I have finally got rid of the cringe inducing www.craftandnappies.blogspot.com and have become thetartankiwi.com. This should not cause any problems with your readers etc, but if you have any problems please let me know. I popped over from Suz's blog, although I do follow you on IG! I love the Panda and would love to make one! Thanks for sharing the pattern with us! Following links to find the super cute panda pattern! Thanks for sharing. 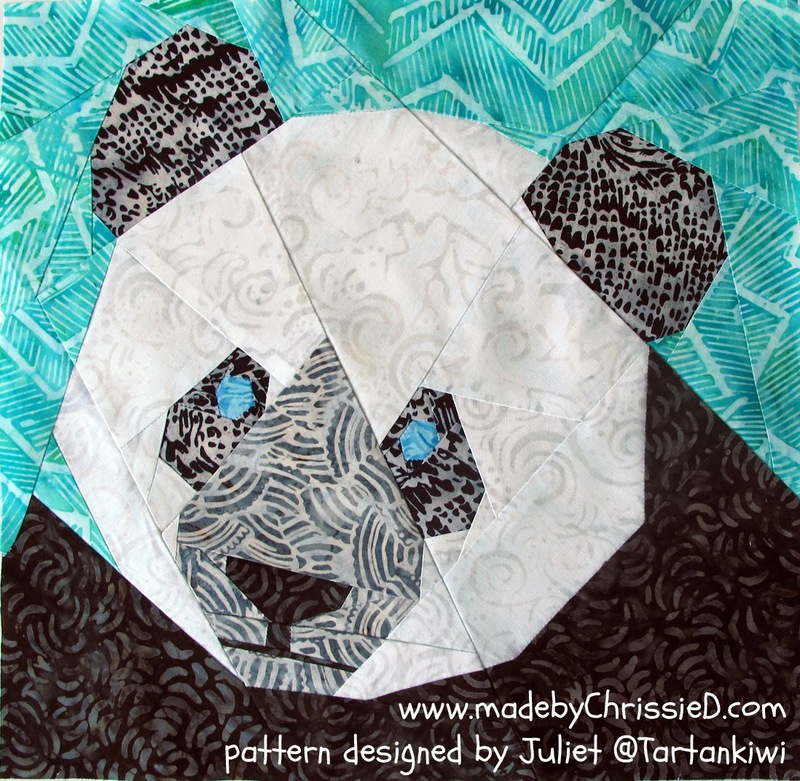 The Panda pattern is fabulous! I had recently been thinking I hadn't seen a post from you in a while -- now I know why. Enjoy your family time, kids do grow up quickly! Whoohoo! It sure is a friendly and adorable looking panda! All 3 of them! And yay for a new url!! Awesome! great design! I hope heaps of people buy your patterns. I wasn't able to download the pattern, but my CC was charged, how to I fix it? Never mind, I tried again and it worked.